While many of you may have noticed some of my favourite items to bake are cookies and muffins. While these are delicious and satisfying treats that are always a hit with the family, I decided that for my father’s birthday I wanted to try something a little bit different. 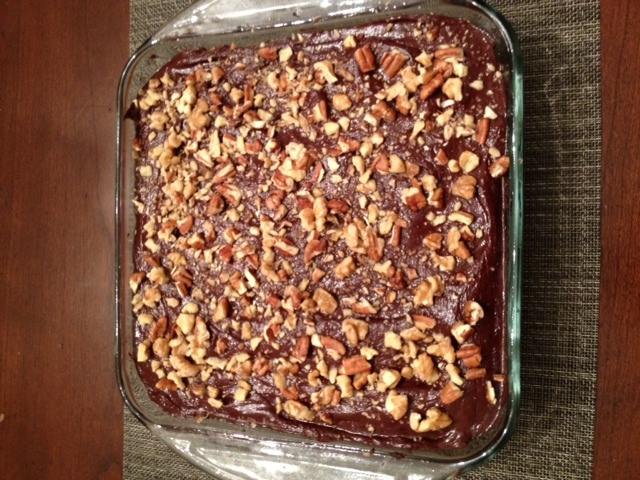 I knew that he loved banana bread and chocolate, so my decision to make him a chocolatey banana cake was an easy one! I came up with the idea for a moist banana cake topped with chocolate ganache. 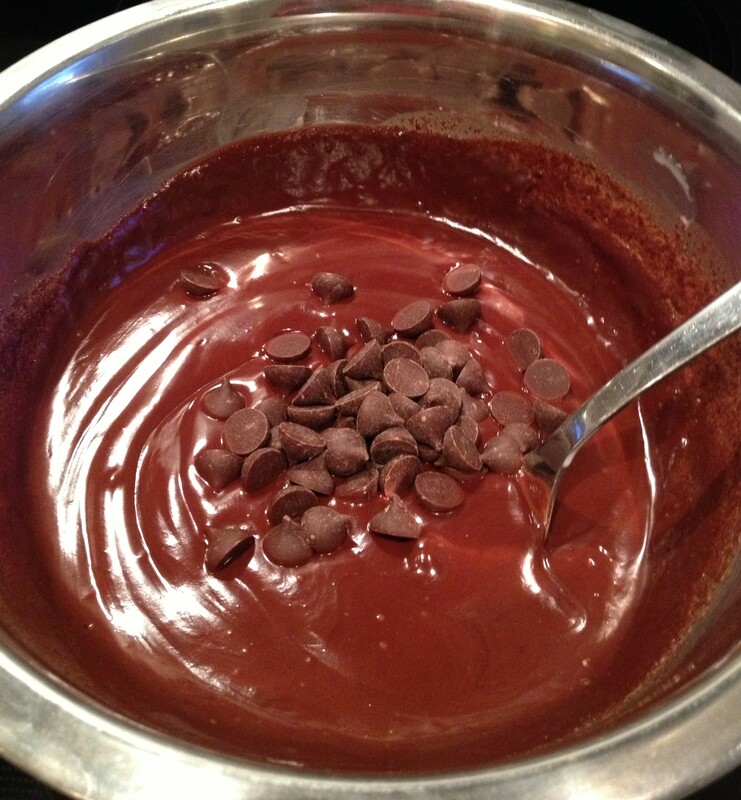 Yes, that’s right…I said chocolate ganache (mmmm!). This choice for icing was a good compliment to the banana flavour as it is not too sweet. It was however quite rich, which means a little bit of cake goes a long way! As always this recipe is gluten-free, free from any refined sugars, egg free and dairy free! I hope that you enjoy!!! 1) In a large bowl mix together all of the dry ingredients. Be sure to remove any clumps. 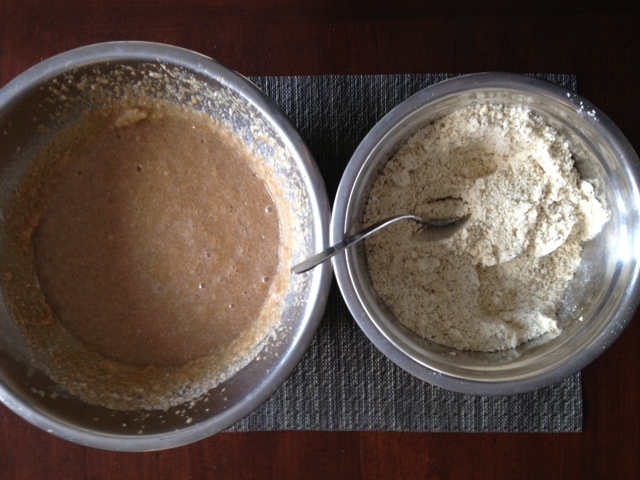 2) In a separate bowl and using a hand blender (or food processor), mix together all of the wet ingredients. 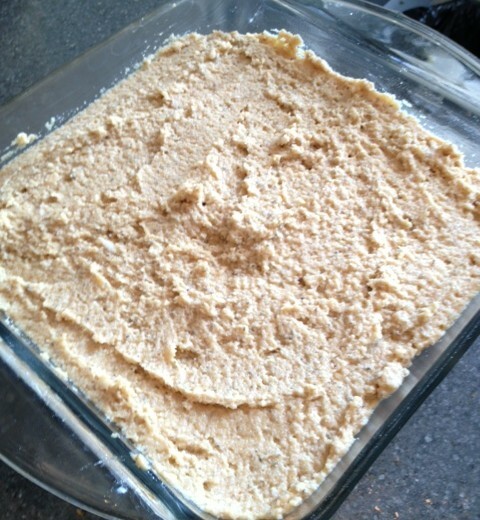 3) Fold the wet mixture into the dry one and combine together until smooth. 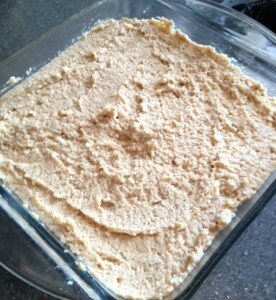 4) Pour the entire mixture into a well greased baking pan. 5) Preheat the oven to 350F and bake for 40 minutes. Let cool for 30 minutes. 1) Using a small pot bring 2 cups of water to a boil. 2) Place the ingredients in a metal bowl or a separate pot that can steadily sit on top of the boiling water. 3) The steam from the boiling water should start to melt the chocolate and coconut milk together. Be sure to stir often to avoid burning the chocolate. 4) Once the mixture is completely melted spread it evenly on top of your banana cake (which should be cooled by now). 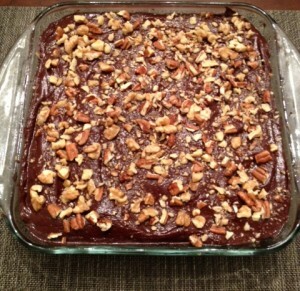 5) Top the cake with 3/4 of a cup of crushed pecans and walnuts. 6) Must be stored in refrigerator. Enjoy!!!! !